34BigThings tries to revive the sci-fi racing genre with something that could compete with the likes of F-Zero or Wipeout. 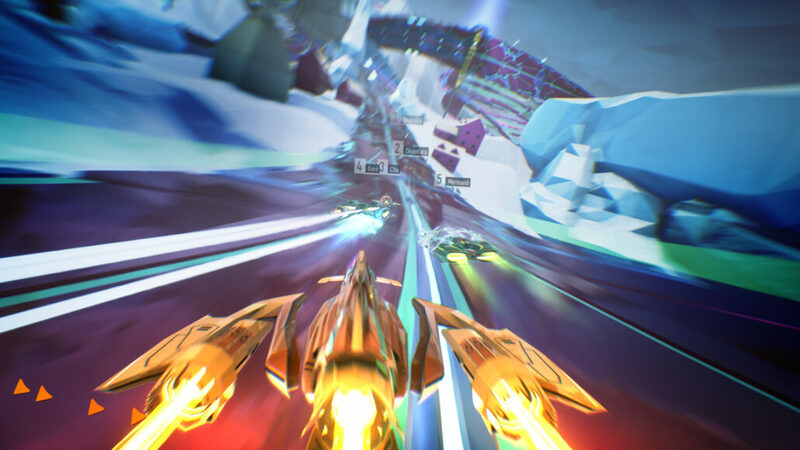 Redout could easily be confused with aforementioned classics with its light-speed gameplay and pulse-pounding soundtrack. 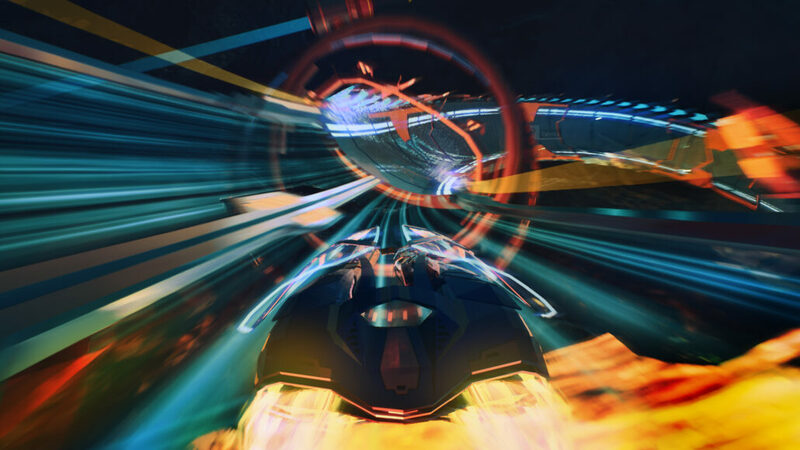 At a glance, Redout might just seem like a fast-and-loose arcade racer. What it truly is is a nerve-wracking twin-stick with relentless opponents that’ll make short work of you if you’re not willing to take a chance on the track. There’s a bit of an adjustment period to get used to the controls. Using the right stick to lean into a curve or pulling up your nose on a jump doesn’t feel natural at first. In fact, it just feels plain awkward at first. Once you have a few races under your belt and realize you almost have to drive recklessly in order to do well, loops-de -loops and high-speed jumps become a little easier to handle. Just be prepared to scrape the walls or get disoriented after hitting hairpin turns and fantastically dangerous speeds. In Redout, slowing down means you lose. You have to fight against your natural racing instincts of slowing down when approaching a turn and instead throw your entire vehicle into it. It’s terrifying the first time you do it but then becomes second nature and exhilarating. That’s why mastering the use of the right-stick becomes more and more of a necessity if you’re looking to make top 3 in your races. For example, you’ll notice early is to you’ll want to pull up on the right-stick when you hit the ramp. If not you’ll grind your nose against the ground which will cost you precious air-time and or even worse, come up short leading to your fiery death. As you progress, the margin for error becomes smaller with the racer A.I. gradually getting more aggressive and has no problem overtaking if you decide to a bad turn. I’ve lost more than race on the final lap because I got cocky and banged into a wall right before the finish line. Miss that jump and fall to your doom and chances are you’re going to lose the race. It’s tough to recover from mistakes since the A.I rarely ever makes any. Career mode has you competing for cash you can use to buy new vehicles and upgrades across ten different game types. The upgrades into passive and active categories. Passives will change how your super hover-cars move like give them better handling or better acceleration. Actives can offer speed boosts or repair drones if you like me and tend to crash into just about everything and everyone. Your career will take you 20 tracks spread across a handful of environments and 10 different race types. You’ve got the usual modes like your standard race and time attack modes. The more inventive modes really force to be on your A game. Survival, for instance, has to avoid random obstacles during a race. Personally, I got a lot of enjoyment playing Speed which essential is a time attack mode that requires staying within a speed limit. The color and is lively and course designs definitely have Wipeout vibes especially when the thumping EDM tracks start to kick in. 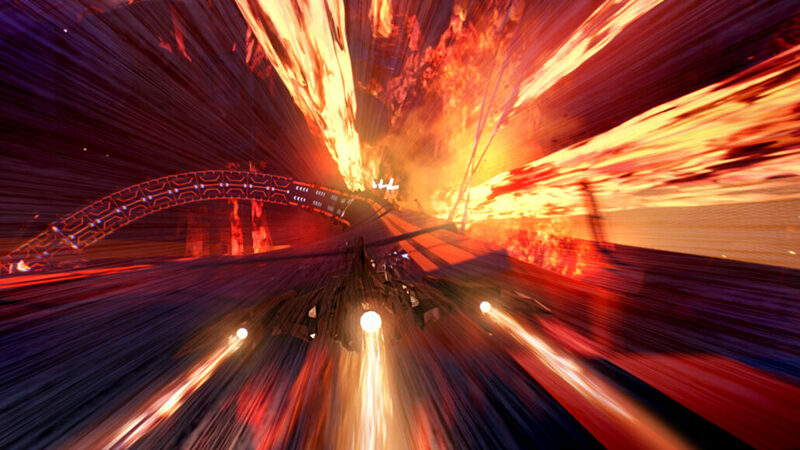 The sense of speed is really something else, I can’t wait to try out cockpit view in PSVR once it’s patched in soon. If you decide to go to PC route, definitely considering trying out Redout on the Oculus Rift and HTC Vive. Quick Play instantly throws you into the action which should be used for learning tracks since there is no tutorial mode to speak of. Running a time trial is an easy way to get accustomed to Redout’s control scheme and your way around the different vehicles. Boss Mode has you string together five courses from one environment. These are fun and intense challenges that your franken-tracks that you can come up with adds some spice to your racing life. It’s strange to see no local split-screen considering how arcade racers do well in a couch settings. There is an online mode where you can technically players. I say technically because I have not able to play a match with a full 8 player set. It’s a shame to see so few players online in Redout; this is surely one of those games that would really benefit from crossplay. Redout scratches an itch I didn’t even realize I had. Some might see it as a Wipeout knockoff, but it manages to feel fresh without relying to too hard on the genre’s nostalgia factor. Redout is a challenging and thrilling racer despite a lackluster multiplayer. Reviewed on PlayStation 4 (code provided by the publisher). You can buy it on Amazon.